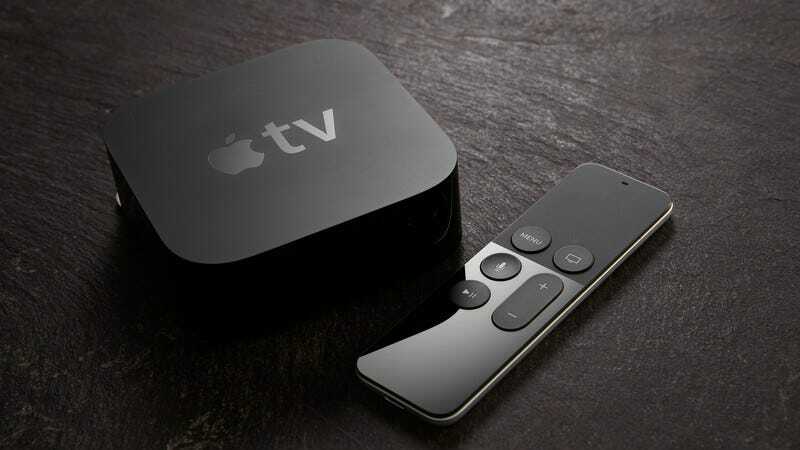 Later tonight, yet another big tech company will force its way into the increasingly crowded online TV game, with Apple releasing its first television series via Apple Music and iTunes. The company’s TV premiere will go up tonight at 11 p.m. Central, although visitors at Apple’s Worldwide Developers Conference got to see the first episode of Planet Of The Apps earlier today. As previously reported, the series is a reality show about app development (as in programs, not mozzarella sticks or fried pickles, unfortunately). Beats 1 DJ Zane Lowe will serve as the host, while Gwyneth Paltrow, Jessica Alba, Will.i.am, and entrepreneur Gary Vaynerchuk will act as judges and mentors. Besides basically serving as extra advertising for the company’s App Store, the hope is that the exciting world of Shark-Tank-but-for-cellphone-games will propel Apple into the lucrative content-creation world. Planet Of The Apes airs tonight; the first episode will also be available as a free download from iTunes.